Amy and William had the following children. 8 M i John Parkin Sr. was born on 12 Apr 1821. He died on 4 Nov 1885. 9 F i Elizabeth Wright Brown was born on 18 Mar 1821. She died on 4 Apr 1887. 10 M v Alexander Henry Stanley Sr. was born on 28 Apr 1836. He died on 2 May 1912. Mary Jane Brown 1 was born on 10 Dec 1838 in Hartland, Niagara, New York. She died on 10 Mar 1906 in Bountiful, Cavis, Ut. 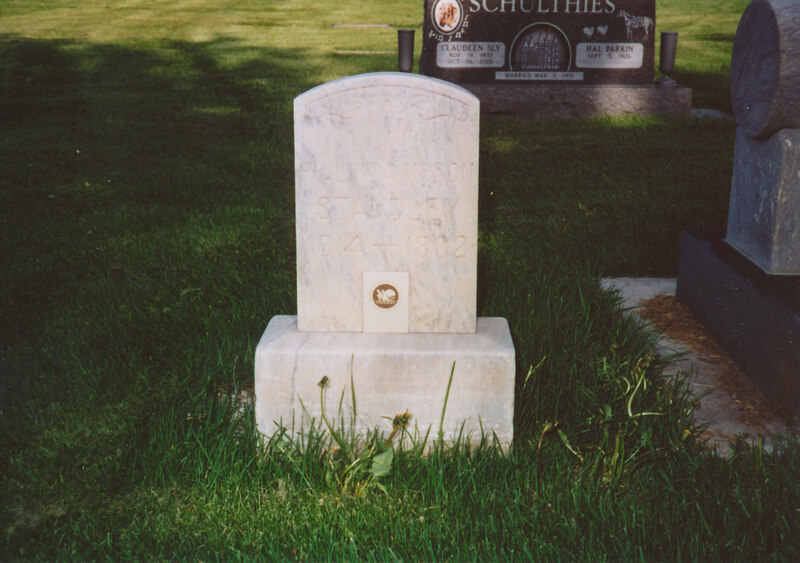 She was buried on 13 Mar 1906 in Bountiful, Davis, Ut. 11 F ii Adelia Ann Brown was born on 3 Mar 1840. She died on 27 Jun 1916. Cynthia Soloma Brown 1 was born on 13 Jun 1842 in Hartland, Niagara, Ny. She died on 30 Sep 1844. Moroni Brown 1 was born on 29 Feb 1844 in Hartland, Niagara, Ny. He died on 7 Aug 1844. 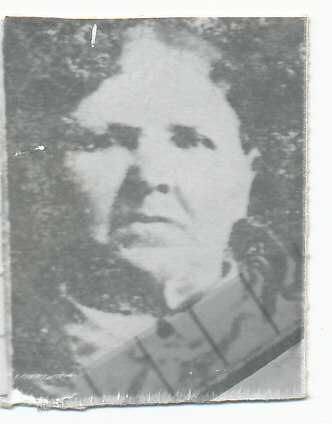 Naamah Brown 1 was born on 16 Oct 1845 in Nauvoo, Hancock, Il. She died on 24 Jul 1917. William Brown 1 was born on 5 Jan 1848 in Salt Lake City, Salt Lake, Ut. He died on 30 Jul 1848. Phebe Noressa Brown 1 was born on 6 Nov 1850 in Salt Lake City, Sl, Ut. She died on 9 Feb 1896 in Woods Cross, Davis, Ut. 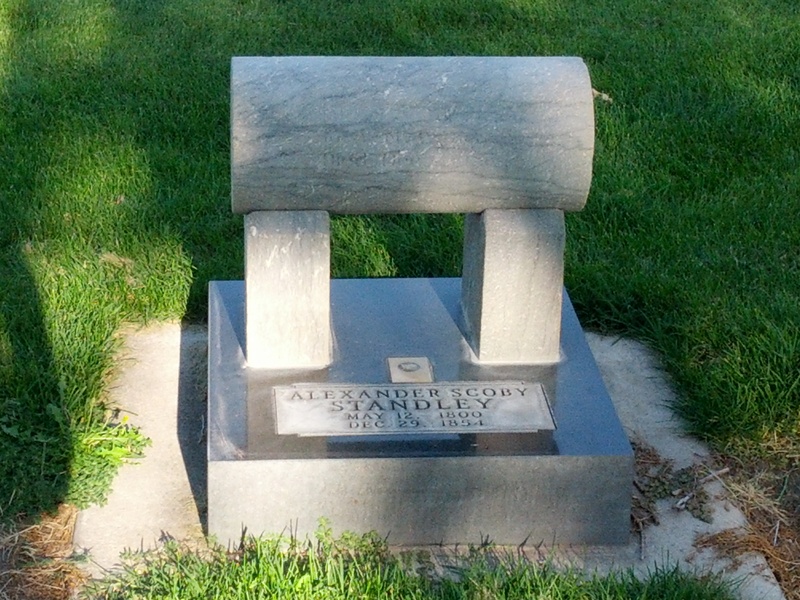 She was buried in Bountiful, Davis, Ut. Rachel Rebecca Brown 1 was born on 29 Feb 1852 in Salt Lake City, Salt Lake, Ut. She died on 9 Dec 1911. 24. John Parrish Sr. was born 1 in 1747 in Brownsville, Jefferson, New York. He died on 10 May 1843 in Fort Ann, Washington, New York. He was buried on 16 Nov 1843 in Off Rte 149, Fort Ann. John married 1 Elizabeth Rice 1 in 1770 in Columbia, New York. 25. Elizabeth Rice 1 was born 1 in 1750 in Of Livingston, Manor, Columbia, New York. She died 1 before 1830 in Fort Ann, Washington, New York. She was buried in Off Rte 149, Fort Ann. 12 M i Nathan Parrish Sr. was born on 14 May 1774. He died on 5 Nov 1834. James Parrish 1 was born in Jun 1779 in Livingston, Columbia, New York. Anna Parrish 1 was born in Jun 1783 in Livingston, Columbia, New York. 27. Phoebe Stewart was born in 1752 in Danbury, Fairfield, Connecticut. Phoebe and Nathan had the following children. 13 F i Rebecca Rhodes was born on 14 Oct 1774. She died on 5 Sep 1858. 14 M i Col. William Parks was born on 21 Mar 1787. He died on 12 Feb 1856. 30. Isaiah London. Isaiah married Sarah Champion. Maria Delila London was born in 1794 in . She was christened in , , New Jersey, USA. She died in 1875 in , Clearfield, PA.. She was buried in , Lucerne, Pennsylvania, USA. Sarah London was born on 15 Jul 1803 in , New Jersey. She died on 27 Sep 1880. 15 F iii Millesant London was born on 29 Dec 1805. She died on 21 Jun 1871. John London was born in 1807 in Clearfield County, Pa. He died. He was buried in Burdette, Bates, MO. Manley London was born in 1809 in , , Pa. He died. Joseph London was born in 1815 in , , Pa. He died. Richard Richard was born in 1818 in , , Pa. He died.